Maree O’Connor is a physiotherapist and has over 24 years experience in the area of lymphoedema management and also physiotherapy following breast cancer. She has been delivering lymphoedema courses, workshops, seminars and speaking at both national and international conferences since 1994 and has a graduate certificate in health professional education. Maree enjoys teaching and is passionate about making it an authentic learning experience. She is the co-author of the Lymphoedema Handbook. Maree has worked in both the private and public sectors and established the first comprehensive lymphoedema clinic at the Mercy Hospital for Women in 1994. Whilst she was there she assisted in establishing the Lymphoedema Compression Garment Fund. Her involvement in lymphoedema has not only been from a clinical perspective. She was part of the steering committee that established the Australasian Lymphology Association (ALA) and was their first president. At a state level Maree has a close association with the Lymphoedema Practitioners Education Group of Victoria and served on their committee for many years as well as serving as president. She has also been on numerous committees and working parties in relationship to lymphoedema both at a state and federal level. She is past chairperson of the ALA Education Training Guidelines Subcommittee and of the ALA National lymphoedema Practitioners Register Committee of Management. 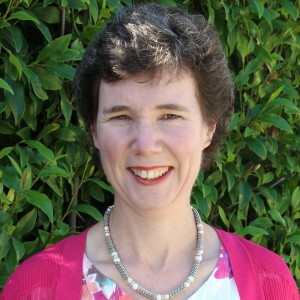 Maree is also on the executive committee for the Australian Lymphoedema Framework. She co-chairs the education committee for the International Lymphoedema Framework.